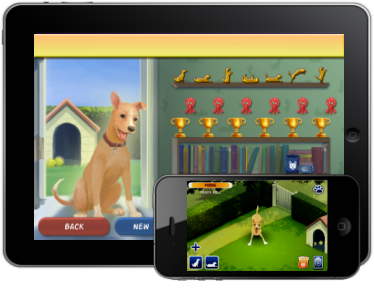 Clickety Dog is a game which simulates a popular and effective method of training animals known as clicker training. Greenius developed the game for iOS, Android, Kindle Fire and Blackberry Play, using the Marmalade SDK. Clickety Dog is published by Mosaic2 and available to buy on the iTunes App Store, Google Play, Amazon Appstore and will soon be on Blackberry App World.